Standard Text Books are important for Superspeciality Examinations.But Time does not permit to go through these Big Text books . Proper revision due to time Constraints is not Possible and Students Fair Badly. Regarding studying Strategy for NEET DM , Online Course by Medexamsprepdotcom are Complete, Well framed, Concise, Examination Friendly and Fully Revised for complete revision with special focus on New and Latest Examination Type questions asked . Our Online Programme covers special and important topics which are most frequently asked by Examiners .Some Topics always tend to be High Yield , Asked Frequently. We focus on those Topics. The Online questions are devised in a manner that the prime focus for students to go through the most important points and recapitulating the high yield points at the end is important for any examination and special focus for the same has been given for the benefit of the students . 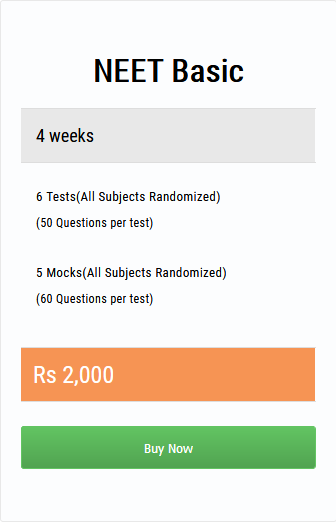 We Provide Effective Examination Tips as well.